Have a look at our recent projects on this page! Get a clear picture of how we work by taking a look at some of the great projects we’ve worked on recently. Scroll down to get all the details on our latest projects in Alvin and the local area. Customer Issue: Damaged door panels. Our Solution: Our team was called out to assess the damages to this customer's door following a storm. Fortunately, only a few of the panels sustained damage and we replaced them with new ones of matching designs. We then tested the door to make sure it was able to continue working correctly. Customer Issue: Needed a new door. Our Solution: This customer was in the process of building a new home and called our office to arrange the installation of a new garage door. 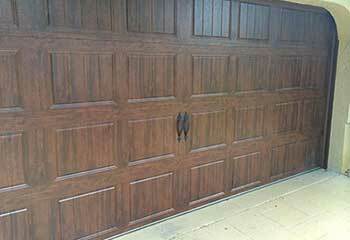 We presented the customer with several options, and he chose a door from Clopay's Canyon Ridge series. We then proceeded to install it for him, and made sure he understood how to safely use the system. 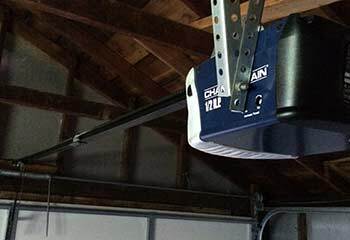 Customer Issue: Norma needed a garage door opener that she had bought online to be installed. Our Solution: We first confirmed that the Chamberlain ½ HP Chain Drive model PD612EV would be able to comfortably lift the door before expertly installing it. 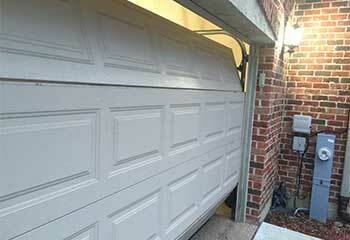 Customer Issue: The garage door came off its track on the right-hand side. Our Solution: We inspected the door and found that the rollers were intact; however, the track had detached from the wall. We tightened the bolts and hung the door safely again. 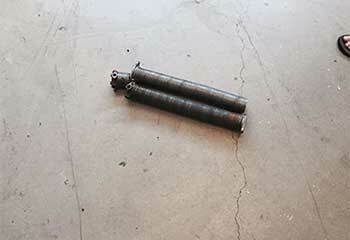 Customer Issue: Roland heard a loud bang and found his garage door wouldn’t open afterward. Our Solution: The torsion spring had snapped and we replaced it, making sure to adjust the tension according to the specifications of the door. Our company only hires the best technicians, so we can give you the best service. 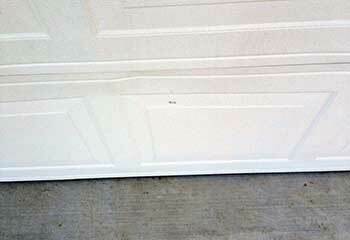 We use the highest standard replacement parts for our garage door repairs. From spring repairs to opener replacements - we will get it done within a day. We work hard to ensure to give you 100% confidence in our work. No matter what kind of garage door services you may need, our local team is proud to provide you with superior craftsmanship for all kinds of residential repairs and installations. Trust us as your local garage repair service to fit all your needs and requirements. Our technician will contact you before arriving. Until then, feel free to browse our website! Garage Door Repair Alvin is at your service!